What happened to Daisy Harker on Decemeber 2,1955? That was the date she had seen on the tombstone and yet she was still alive. The name on the grave was hers but whose was the body? Regardless of the lives that would be shattered by the truth, her implacable search for a single day in her past leads back through a maelstrom of hatred and remorse to the single catastrophic fact that underlies a lifetime of deception. Written by Margaret Millar. First published 1960 by Victor Gollancz. Hodder paperback edition 1967. Cover design Tom Simmonds. Photography Thomas Simmons. We meet Daisy Harker one bright sunny morning in February as she sits down to breakfast with her husband Jim. At first glance they seem the perfect couple – young, affluent and good looking, enjoying bacon and eggs in their nice house, situated in a nice part of town. But something is wrong. Behind her brittle smiles and perfunctorily answers to her husband’s questions, Daisy’s peace of mind is becoming increasingly disturbed – she is suffering from panic attacks leaving her feeling out of control and helpless, triggered by a vivid dream in which she visited her own grave, the date on the tombstone marking her death as December 2nd 1955. This letter may never reach you, Daisy. If it doesn’t, I will know why. The good news is Daisy is still alive and, since it is now 1959, this dream cannot be a presentiment of her death. Even so, she intuitively knows someone or something close to her died that day and this is what holds the key to her increasing anxiety and unhappiness with her life. So, with the help of sceptical bail bondsman / private detective Pinata, she sets out on a journey to rediscover exactly what happened that fateful day in December over four years ago. Memories are crowding in on me so hard and fast that I can hardly breathe. I can’t say too much as I don’t want to spoil a cracking story beautifully written by an author with an amazing talent for bringing to life the little things – those seemingly offhand gestures and turns of speech that give away a character’s innermost thoughts and motivations. Suffice to say, this was a compelling mystery right from the start which I was very quickly drawn into. Shame? – It’s my daily bread. No wonder the flesh is falling off my bones. Another great thing about the structure of this novel – each chapter is headed by a couple of lines of prose which we gradually learn are extracts from a letter written, but never delivered to, Daisy herself. Who wrote it and why isn’t revealed until the final pages when she at last reads the entire letter- with the reader learning the whole truth behind her disturbing dream at the same time she does. It’s powerful stuff and though some of the themes in this novel struck me as a little out-moded, the impact and skill of Margaret Millar’s storytelling more than makes up for this. 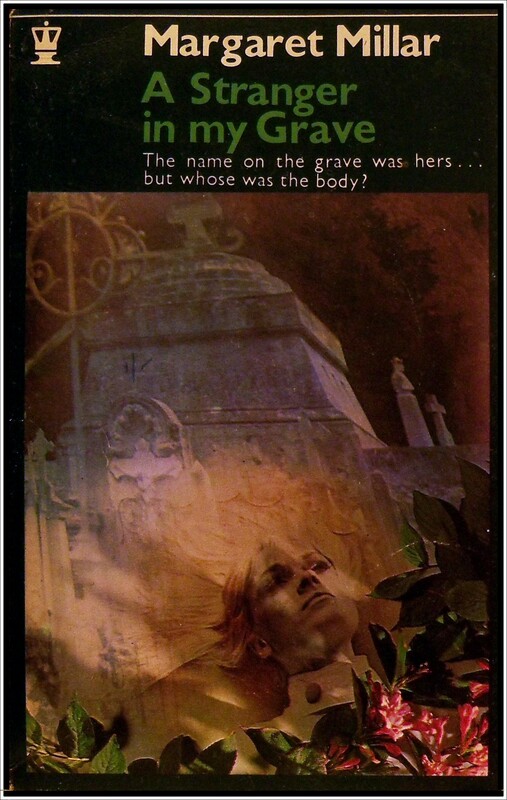 I also love the eerie cover art; not sure if it’s a co-incidence or a typo but the names of the designer and photographer are strikingly similar, which made me wonder if this isn’t in fact the same person? 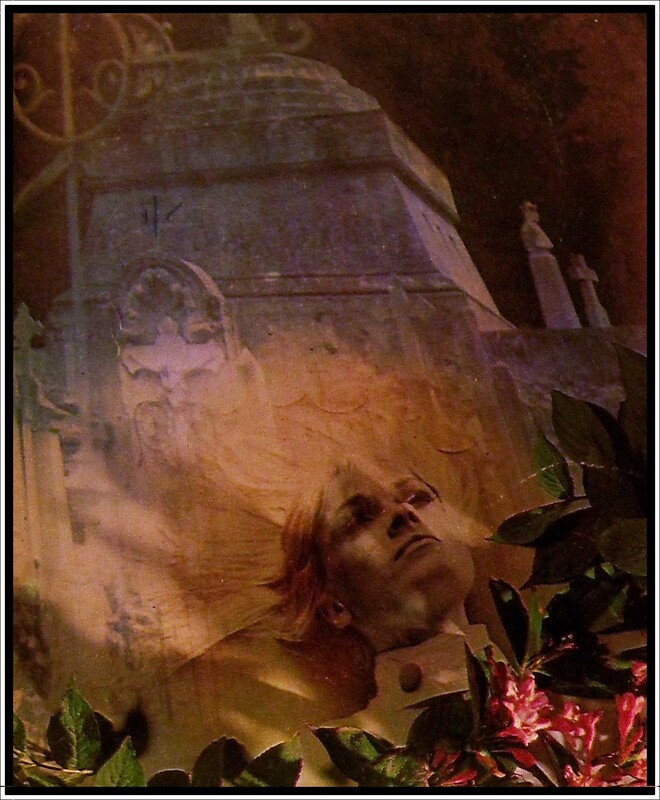 Anyway, a better review of this novel, along with some great cover scans, can be found over at the Pretty Sinister Books blog HERE. A dark chain of evil inexorably strangles the lives of those involved: the spirited heroine, Charlotte Keating, a woman doctor; Violet O’Gorman, the innocent victim: Lewis Ballard, who loved himself more than he loved the women in his life; Gwen Ballard, who still lived in the memory of the days when she was belle of the town… the sinister theme is subtly contrived and cleverly executed… a psychological thriller, highly recommended.” The Globe and Mail. Originally published in hard cover by Random House. Copyright Margaret Millar 1950. Lancer Books 1966. Another lucky charity shop find. I love this cover; it’s classy (my photo doesn’t do it justice so you’ll have to take my word for it, but her matching coral lipstick and nail polish combo is gorgeous) and it’s spooky too. 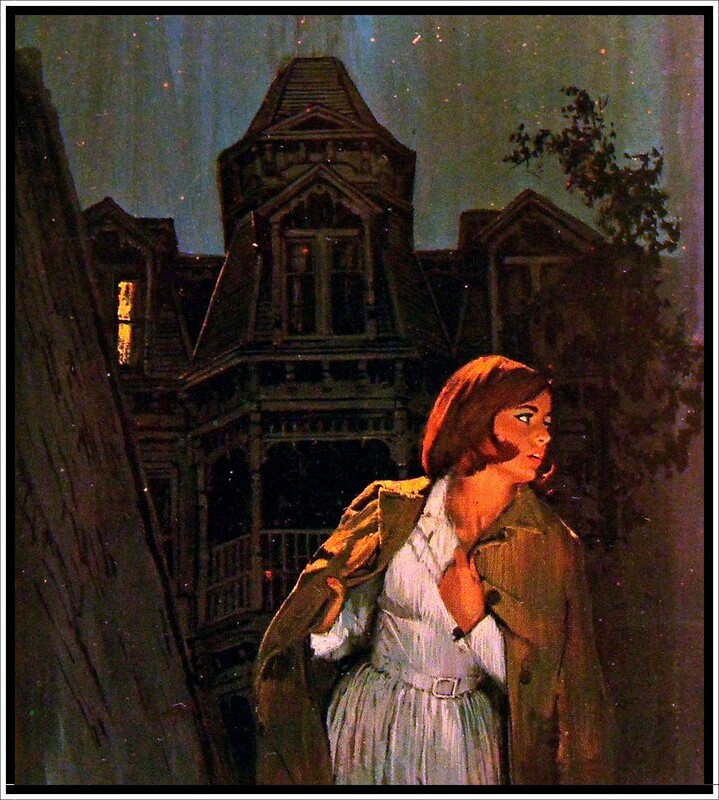 Look at that sinister silhouette of someone or something lurking in the darkened window behind her – no wonder she’s running away before giving herself time to put her coat on properly! 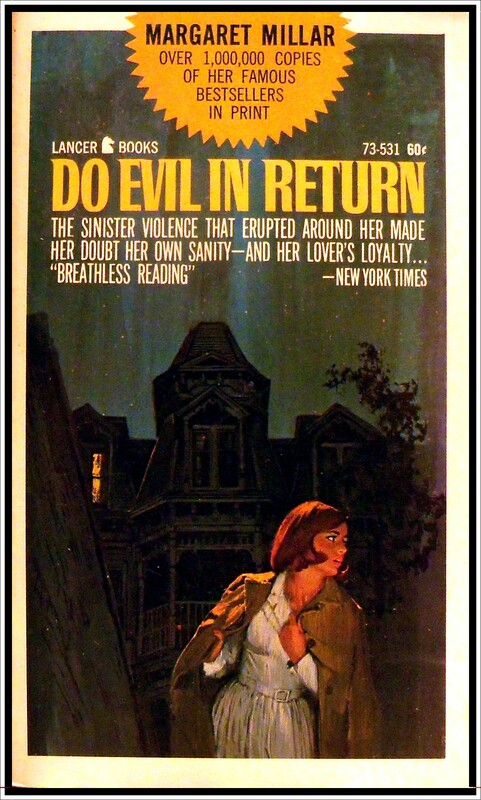 Margaret Millar (February 5, 1915 – March 26, 1994) was an American-Canadian mystery and suspense writer. She has been credited with being a screenwriter for Warner Brothers Hollywood and was a recipient of the Mystery Writers of America Edgar Allan Poe Award in 1956. I think her writing is wonderful; I’m reading another one of her books at the moment and hope to review it soon.